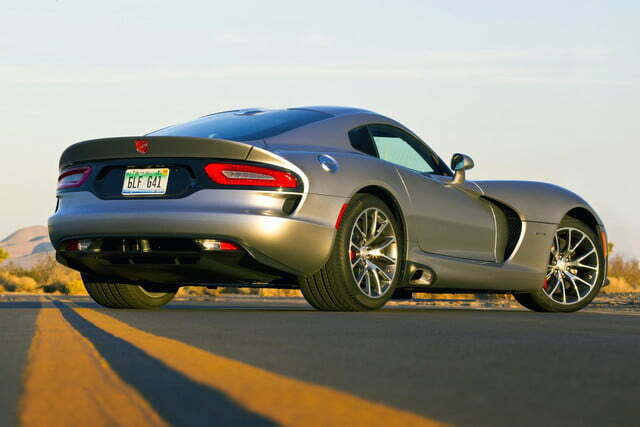 With all of the Hellcat hullabaloo, it’s easy to forget that there’s another wild animal in the Chrysler performance stable. 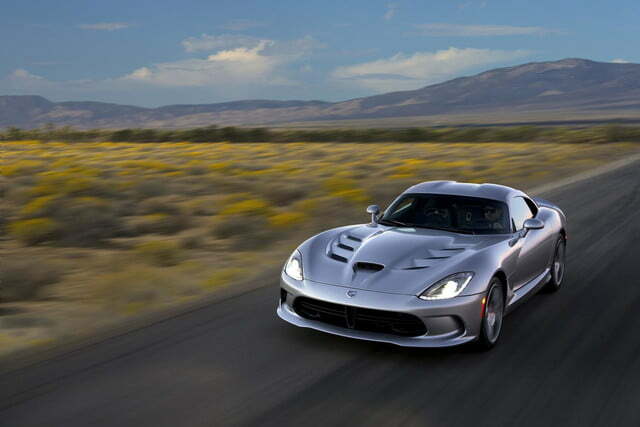 After returning to the Dodge fold, the Viper will get a handful of upgrades for the 2015 model year. 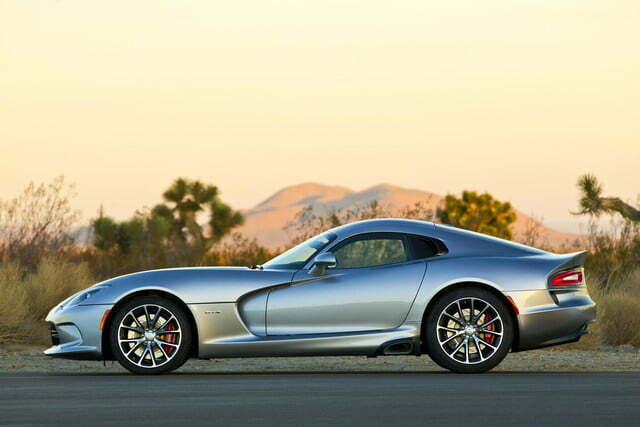 The 8.4-liter V10 gets a five-horsepower bump for a total of 645 hp, while torque remains unchanged at 600 pound-feet. 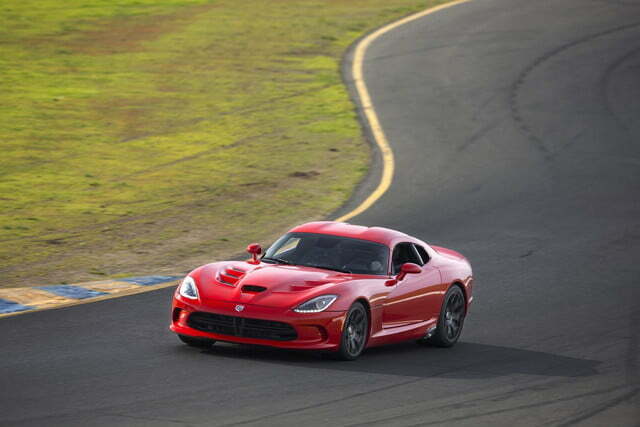 No, that’s still not as much as you’ll get in a Challenger or Charger SRT Hellcat. 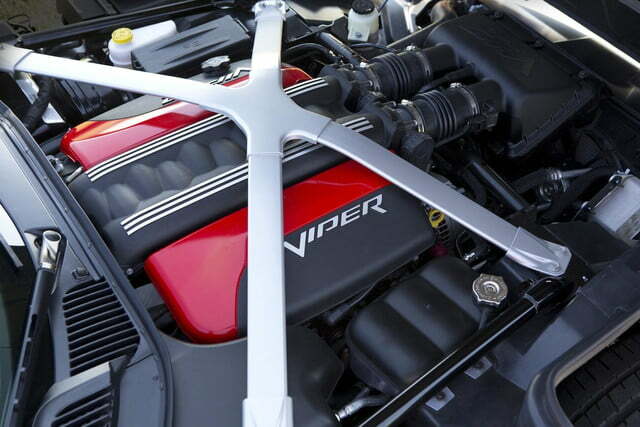 It may be outgunned on the horsepower front, but the Viper should at least be able to compete visually with its siblings thanks to two new colors – Stryker Purple and Yorange – and a Ceramic Blue Edition package for the GTS model that gives the car an otherworldly glow. 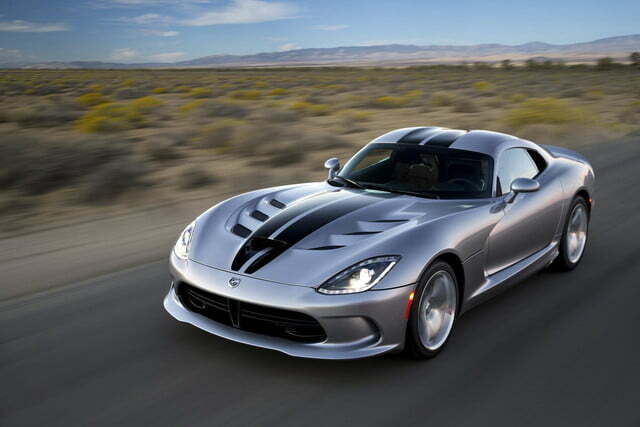 The latter will be limited to just 40 units. 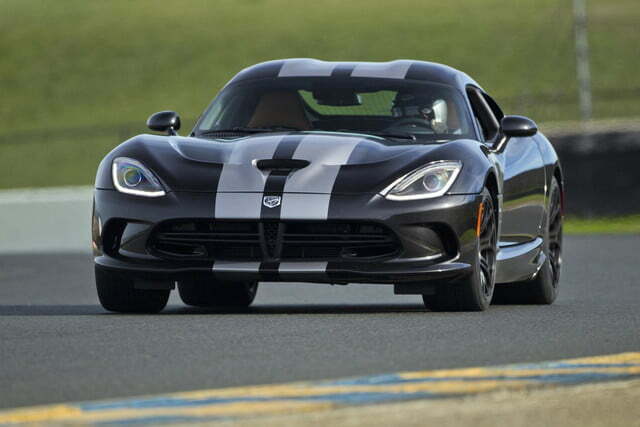 There’s also a new GT model that sits between the base Viper and the GTS in the lineup. 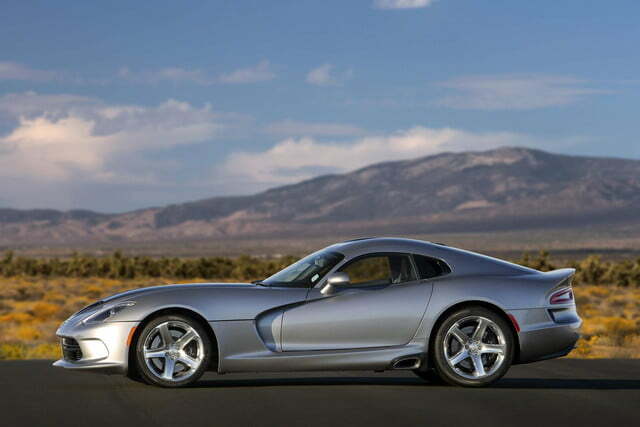 It includes adjustable Bilstein DampTronic Select shock absorbers and five-mode electronic stability control, but does without most of the GTS’ luxury features. 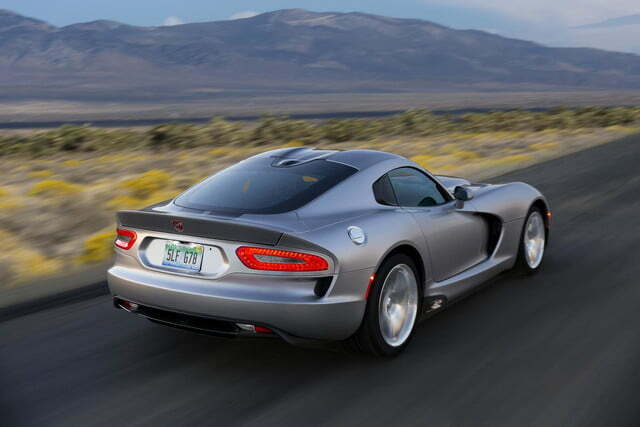 The sportiest Viper is still the TA, which evolves with a 2.0 Special Edition package for 2015. 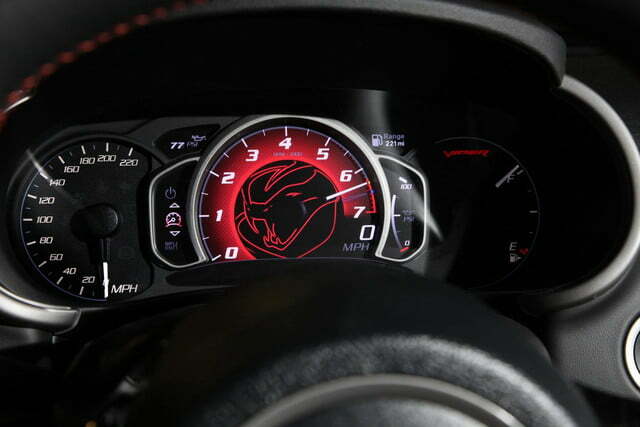 It includes a model-specific aerodynamic package with dive planes, a carbon fiber front splitter, and larger rear spoiler, plus unique suspension tuning and upgraded brakes, wheels, and tires. Only 32 TA 2.0 Special Edition models will be made in each of the three available exterior colors (Competition Blue, Yorange, Venom Black). 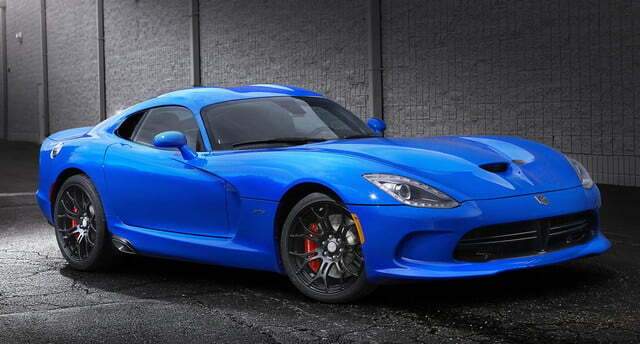 They will go into production with the rest of the 2015 Viper range in the coming months.